Churros… you know the warm, crispy, soft, cinnamon sugar-coated deep fried bits of doughnut goodness. Yeah, those. I’m going to keep this one short and get right to it. This is a BBC Good Food recipe that I’ve used plenty of times. 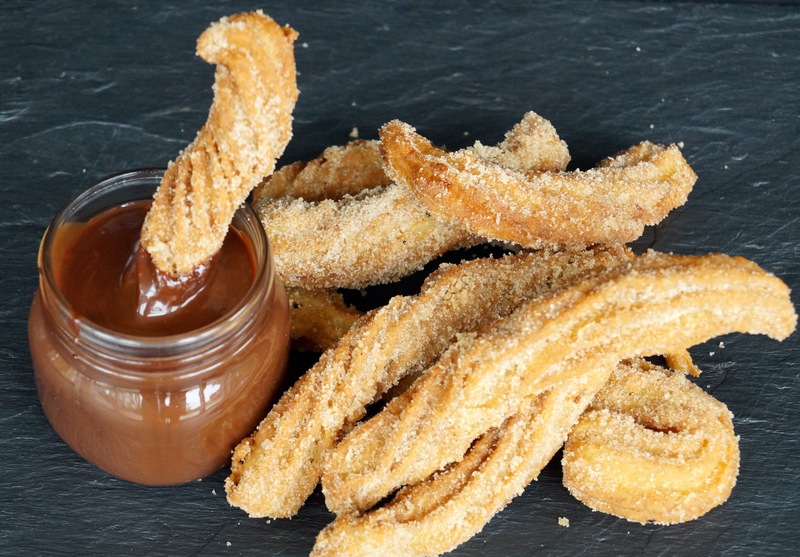 The churros are soft, easy to make but a little messy! The chocolate sauce is next level good, you’ll struggle to keep a spoon out of it to be honest. This beastly cake is made up of 6 layers of alternating chocolate and vanilla cake, sandwiched with chocolate caramel frosting with crushed oreos in each layer. It’s covered in vanilla frosting and has a pink chocolate ganache dripping down the sides. There’s also a tonne of sprinkles and glitter involved. 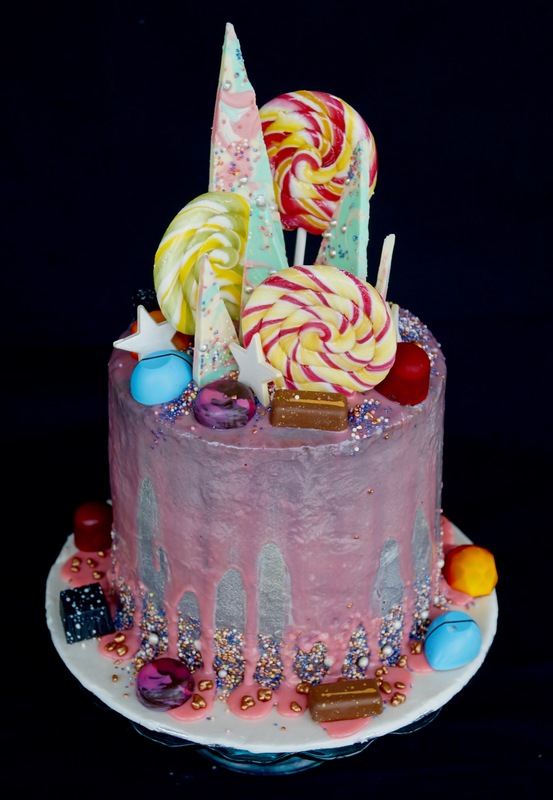 It’s been a while since I’ve made a big celebration cake actually, and this opportunity was perfect for me to make one of those whimsical, colourful, explosive cakes. I have to say, it’s one of my favourite cakes to date. 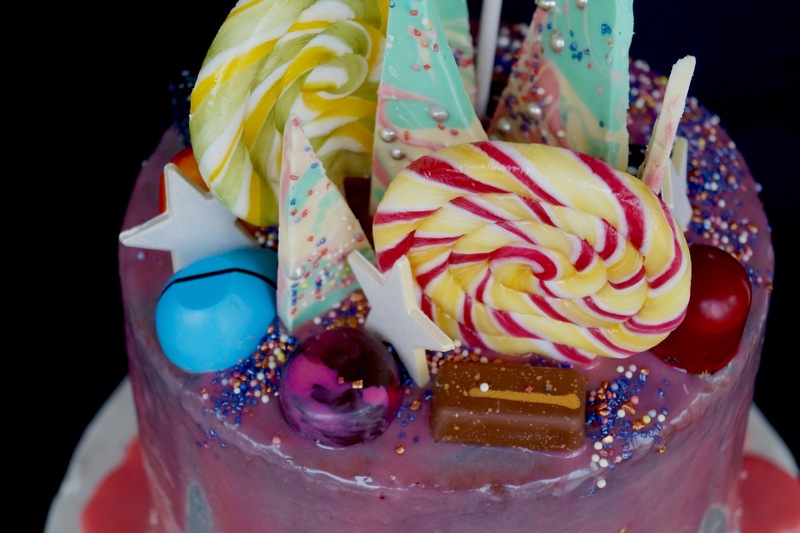 It’s like a unicorn, in cake form. This time, I was asked for a Harry Potter cake. Except I don’t work with fondant. Really, I hate the stuff – it tastes horrible, it’s too climate dependent and is generally not very forgiving. This in mind, I offered a “magic” themed cake instead. Every element bought something new to the cake and added to its eccentricity. 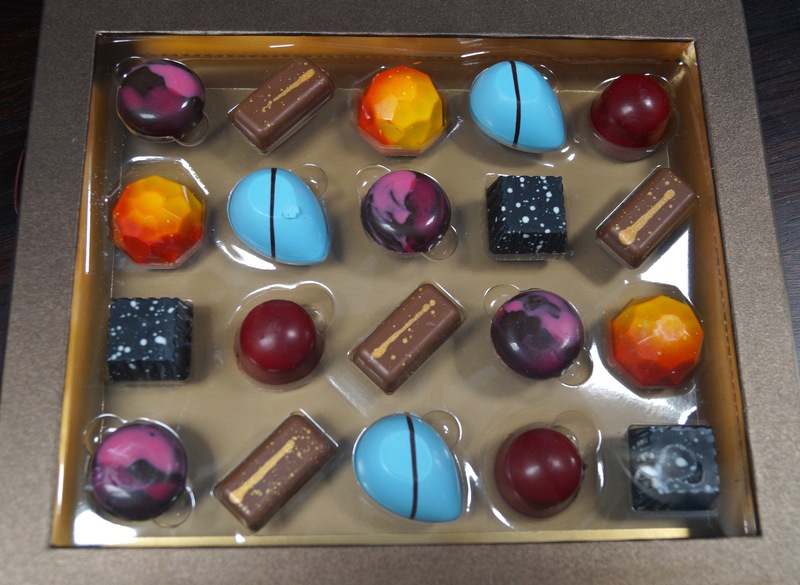 One of the stars of the show was definitely the selection of chocolate truffles – 10/10 would confuse one of those for the Philosopher’s Stone. The social media savvy amongst you might recognise this cake style. It is, of course, inspired by the dessert queen herself, Katherine Sabbath. Humble, kind and lovely, Katherine prefers not to compete against her cake making peers but wants to inspire everyone with her amazing work. Her attitude is rather refreshing. 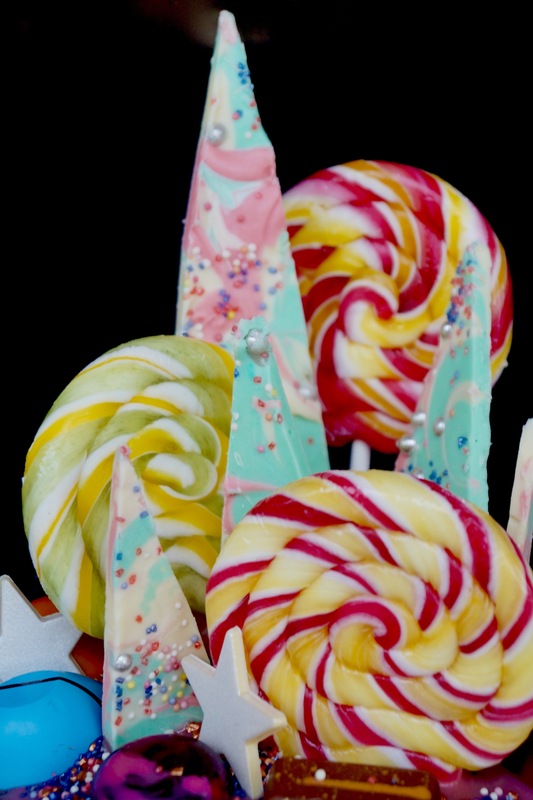 The lollies were great – they gave the cake a very Charlie & the Chocolate Factory kind of feel, complete with the drippy ganache and sprinkles. I had actually bought some glittery jelly beans for the cake but they somehow became lost and as yet, no one in my household has volunteered their position…! Either way, this cake has the wow factor. And it’s not as complex as it looks. IMO, the key to succeeding with big celebration cakes is to split the whole process up. I had to have the cake ready for 12pm Tuesday, so I baked the cakes on Sunday and froze them Sunday evening. This was a fairly lengthy process as there were 6 layers and I only have one 7” tin. I also made the chocolate shards on Sunday and left them in the fridge until Tuesday. Monday, I took the cakes out of the freezer to defrost and made a chocolate caramel frosting to sandwich the layers together. I covered the whole cake in the chocolate frosting and left it in the fridge for about 6 hours. Then I made a vanilla frosting to cover the whole cake once more and stuck sprinkles on the sides before it set. The whole thing was sprayed, multiple times, with gold and silver glitter. It was the prettiest, most sparkly cake EVER. Tuesday morning saw me make a (pink) white chocolate ganache and stick all the cake toppers in. I didn’t feel like this cake took me a long time because I did it over 2 days and it really reduced the stress/anxiety involved in baking someone’s 16th birthday cake! 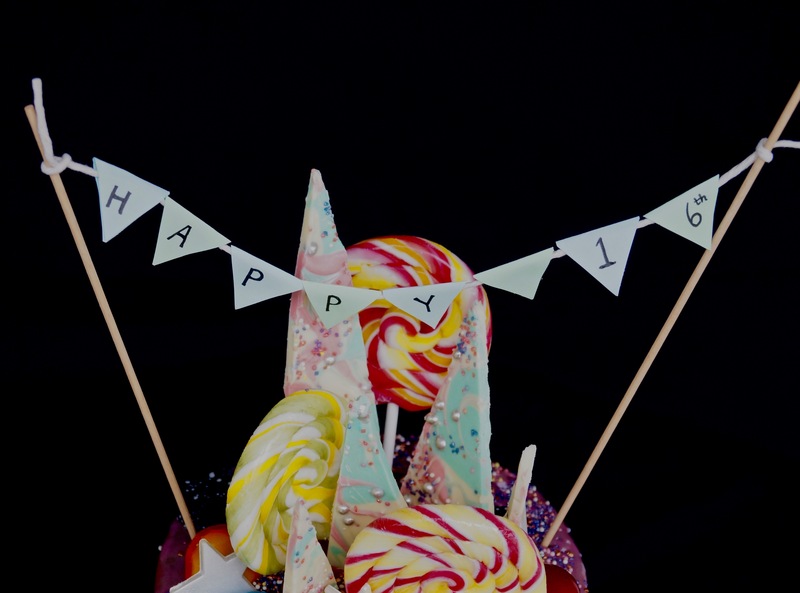 (It’s an important year – I remember my 16th. The cake was everything!) Of course, you could do the whole thing at once, the steps are optional! Making tiny bunting is quite fun. It’s been hot here. The heatwave was intense. My international readers might look upon us Brits with mild amusement for melting in British summer sun but really, I was in Central London on the hottest day in England for like, 9 years and it was 37 degrees! I mean, fair enough it has dropped 10 degrees since then but it’s still warm, you know? The point I think I wanted to make was that baking in hot weather isn’t as fun as baking in cold weather. I don’t know, but for some reason it felt less comforting. 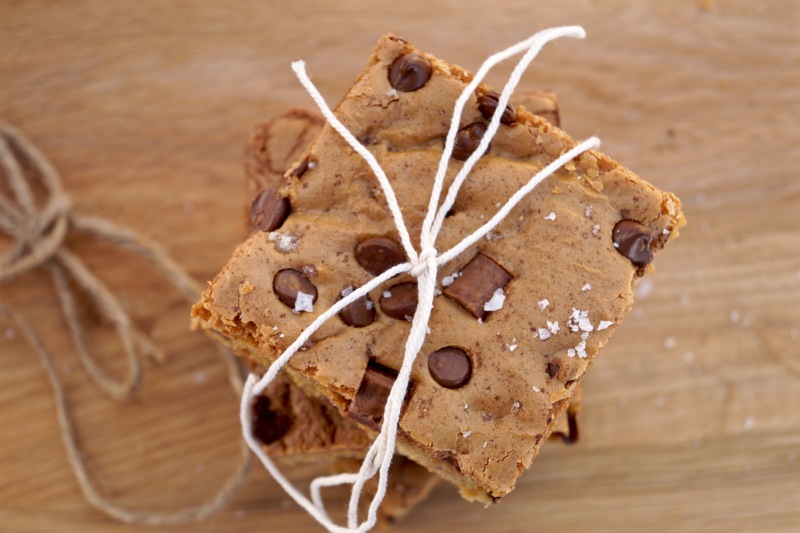 Luckily, there’s no faff involved with these blondies. 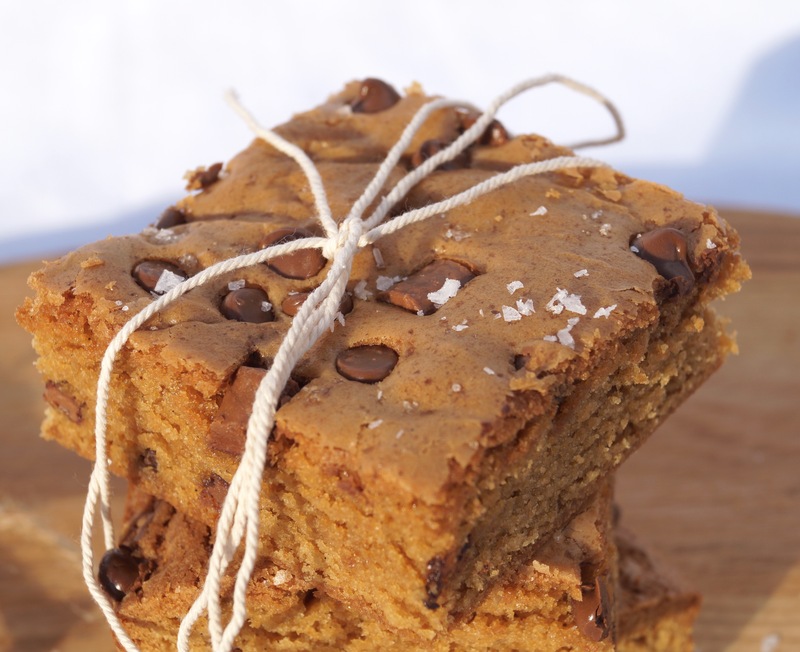 Ok I’m not actually sure if these qualify as blondies.. 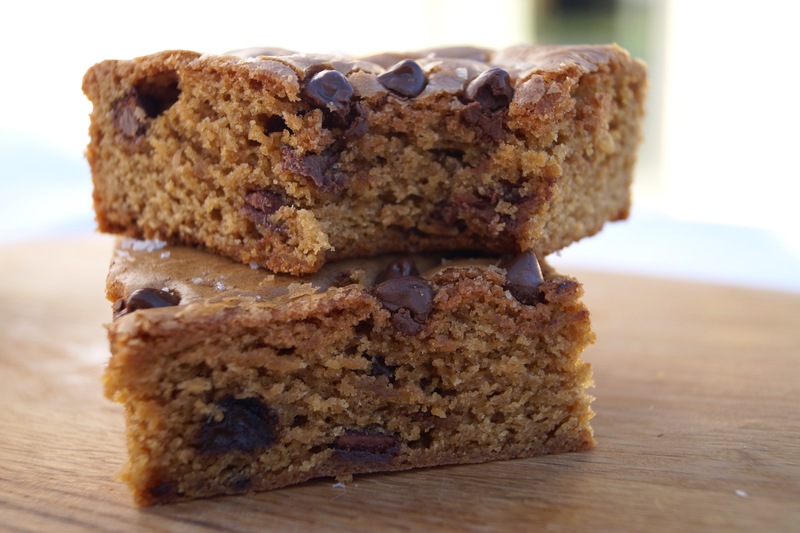 I always thought blondies were white chocolate brownies but I just don’t know what else to call these. I guess, the whole thing is kind of like a huge baked cookie that’s so thick it has turned a bit cakey… But cakookie just didn’t work for me. For taste/texture, think the inside of a soft baked cookie but with no crunchy bit!